Lasius neglectus is a recent arrival in Europe. Some of its populations have attained pest status but on other sites, the ant is still in an arrested state, perhaps in the lag-phase, lacking the major characteristics of invaders. 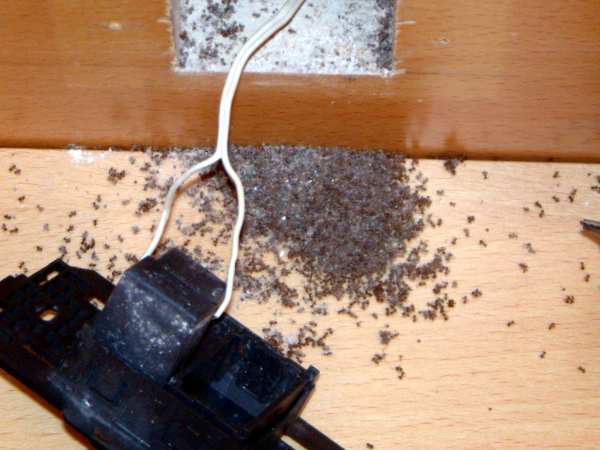 Its negative effects are caused by the enormous numbers of ants tending aphids on trees and occupation of electrical conduits in homes and gardens. 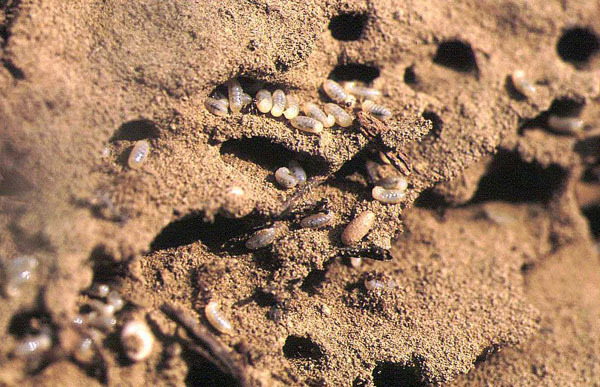 Lasius neglectus, though known to be present at a location in Budapest, Hungary, was only described in 1990 (Van Loon et al. 1990). It is a member of the sub-family Formicinae. 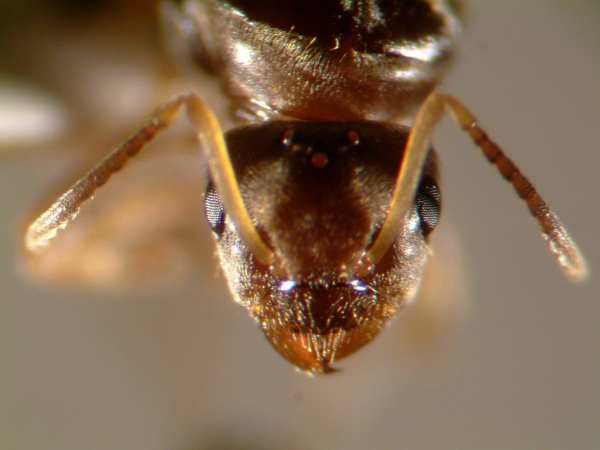 The length of the worker, queen and male are 2.5-3mm (worker), 5.5-6mm (queen), 2.5mm (male); the mandibles are 7-toothed; hairs are lacking on the scape (first segment of antenna) and usually on the legs. Their colour is yellowish-brown with the thorax somewhat paler. The live weight of the worker is 0.65-0.80mg and the queen, 6.8-9.6mg. Espadaler and Bernal (2004) observed that \"the female is immediatly recognisable within the European Lasius by its comparatively reduced size and proportionately smaller gaster (swollen part of abdomen), as compared with the thorax. The male is the smallest within the European Lasius (s.str.) species\". Polygyny in the nest (the presence of more than one functional queen), and the enormous numbers of workers travelling up and down trees is also a characteristic of the species. 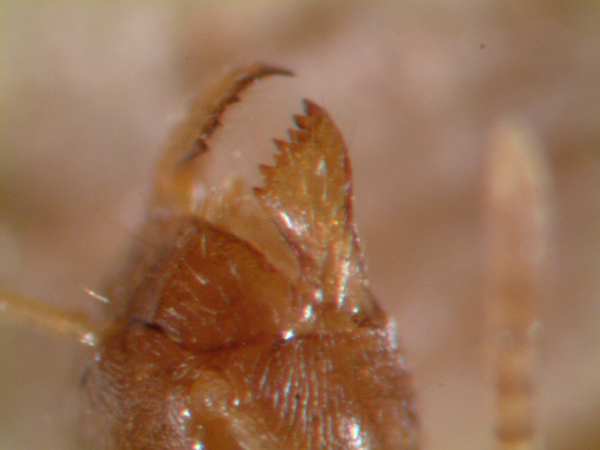 Lifecycle stages (data from one colony in north-east Spain): eggs (from April to October), larvae (all year around), worker pupae (May, June, September, October), sexuals pupae (May, June), winged sexuals (May, June). In Europe Lasius neglectus is found in urbanised areas, from city streets to semi-urban lots with some natural vegetation. Trees are a key resource for the ant. In Asia Minor it is found in natural steppe habitats (Seifert, 2000). The colony grows by budding, involving the displacement of queens with some workers at short distances (a few metres). 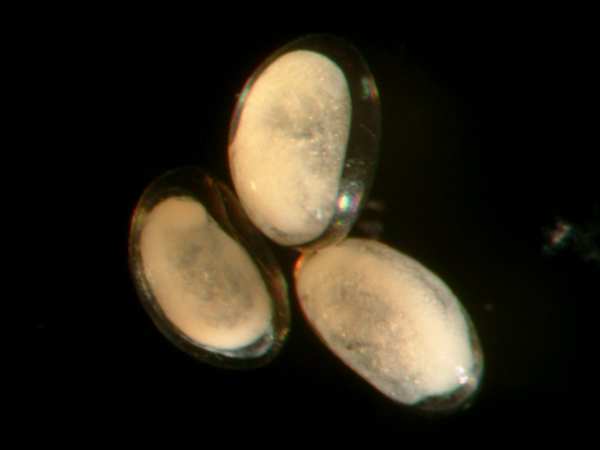 In laboratory studies, isolated queens have also been shown to be able to found new colonies, although it is not known if this possibility exists under natural conditions. The carbohydrate content of newly mated queens is consistent with the observed loss of mating flight of this species although the relative wing area indicates that L. neglectus queens should be able to fly. Feeding is mainly based on sugary foods (aphid honeydew, nectar, vegetal juices). In spring the ants look for aphids at the base of herbs and small vegetation, where the ant constructs temporary earth shelters. 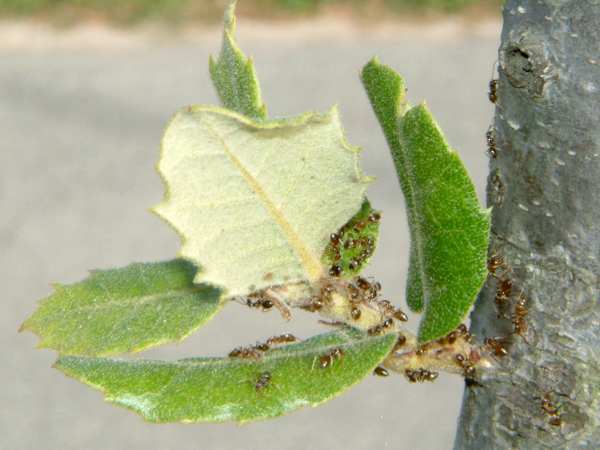 In summer, when tree aphids are abundant, the ants shift to this nearly ubiquitous resource. Movement of potted plants, turf peat, soil from construction. 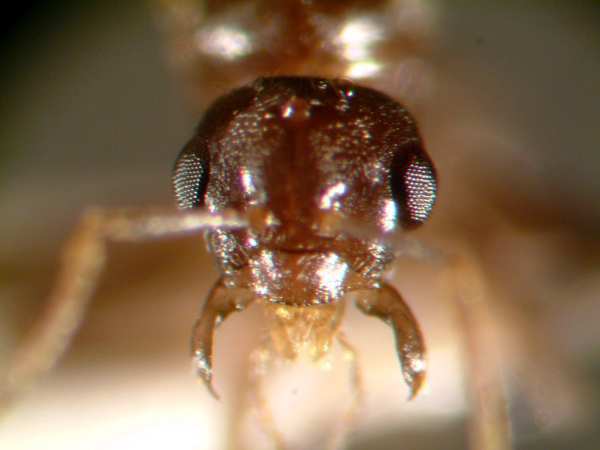 Recommended citation: Global Invasive Species Database (2019) Species profile: Lasius neglectus. Downloaded from http://www.iucngisd.org/gisd/species.php?sc=663 on 22-04-2019. 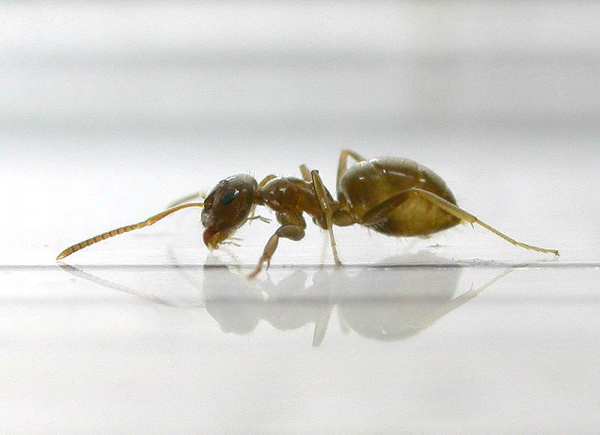 Lasius neglectus may invade the interior of houses and occupy electrical conduits, causing short-circuits or damage to electro-mechanical devices. Outdoors, it nests at the base of plants and attends aphids on trees, usually producing negative effects. 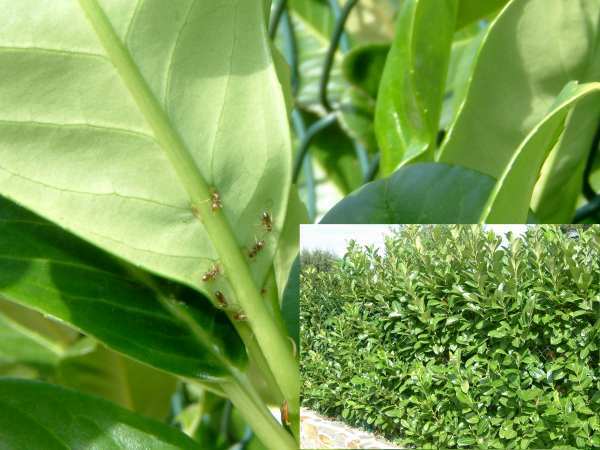 As a result of the ants protecting aphids and \"milking\" them for their honeydew it causes honeydew to be produced in large quantities, in turn causing sooty mould to grow on leaves. Not all populations seem to be invasive, in Spain only three out of eleven populations have been denounced as damaging or invasive. This is probably due to climatic constraints, especially dryness during the Mediterranean summer. A detailed pest risk assessment for the eight species ranked as having the highest potential risk to New Zealand (Anoplolepis gracilipes, Lasius neglectus, Monomorium destructor, Paratrechina longicornis, Solenopsis geminata, Solenopsis richteri, Tapinoma melanocephalum, Wasmannia auropunctata) was prepared as part of 'The invasive ant risk assessment project', Harris et al. 2005., for Biosecurity New Zealand by Landcare Research. Lasius neglectus scored as a high-risk threat to New Zealand. The Invasive ant risk assessment for Lasius neglectus can be viewed at Lasius neglectus risk assessment. Please see Lasius neglectus information sheet for more information on biology, distribution, pest status and control technologies. Integrated Pest Management: Usual measures against domestic ants are not expected to be effective. The enormous numbers of ants that integrate in the supercolonies are to be controlled by an Integrated Pest Management (IPM) strategy, involving both chemical control on trees and soil, physical management of trees (cutting branches in contact with buildings) and limiting irrigation as much as possible (Rey and Espadaler, 2005). Please follow this link for more detailed information on the management of the Lasius neglectus compiled by the ISSG. Informations on Lasius neglectus has been recorded for the following locations. Click on the name for additional informations. Summary: Summary of known distribution, morphology and main biological characteristics and damages caused by this species. Rey, A and X. Espadaler, 2005. Area-wide management of the invasive garden ant Lasius neglectus (Hymenoptera: Formicidae) in northeast Spain. J.Agric. Urban Entom. Summary: First intent to limit this pest. In two consecutive years, chemicals were applied on tree trunks and canopies. In addition to soil injections and in-house ant baits, a satisfactory control was reached. Tartally, A., Hornung, E. & X. Espadaler, 2004. The joint introduction of Platyarthrus schoblii (Isopoda: Oniscidea) and Lasius neglectus (Hymenoptera: Formicidae) into Hungary. Myrmecologische Nachrichten 6: 61-66. Boomsma, J.J., A.H. Brouwer and A.H. Van Loon, 1990. 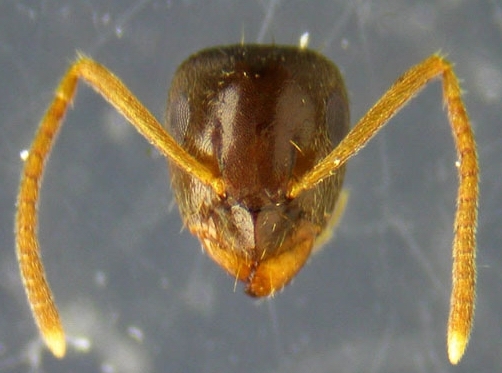 A new polygynous Lasius species (Hymenoptera, Formicidae).II. Allozymatic confirmation of specific status. Czechowska, W. & W. Czechowski, 1999. Lasius neglectus Van Loon, Boomsma & Andr�sfalvy, 1990 (Hymenoptera, Formicidae), nowy dla Polski gatunek mr�vki w Warszawie. Przeglad Zoologiczny 43: 189-191. Dekoninck, W., C. De Baere, J. Mertens & J-P. Maelfait, 2002. On the arrival of the Asian invader ant Lasius neglectus in Belgium (Hymenoptera, Formicidae). Bull. Soc. roy. belg. Ent. 138: 45-48. Espadaler, X. 1999. Lasius neglectus Van Loon, Boomsma & Andr�sfalvy, 1990 (Hymenoptera, Formicidae), a potential pest ant in Spain. Orsis 14: 43-46. Espadaler, X. & S. Rey, 2001. Biological constraints and colony founding in the polygynous invasive ant Lasius neglectus (Hymenoptera, Formicidae). Insectes soc. 48: 159-164. Summary: Reproductive physiology (carbohydrates, lipids) and morphology (thorax and wing size in queens). Isolate queens are capable of starting new colonies. Espadaler, X. & V. Bernal, 2003. Exotic ants in the Canary Islands, Spain (Hymenoptera, Formicidae). Vieraea 31: 1-7. Mark�, B. 1998. Six new ant species (Hymenoptera: Formicidae) for the Romanian myrmecofauna. Entomol. rom. 3: 119-123. Summary: First reference for Romania. Marlier, J.F., B. Schatz & J.C. de Biseau, 2002. 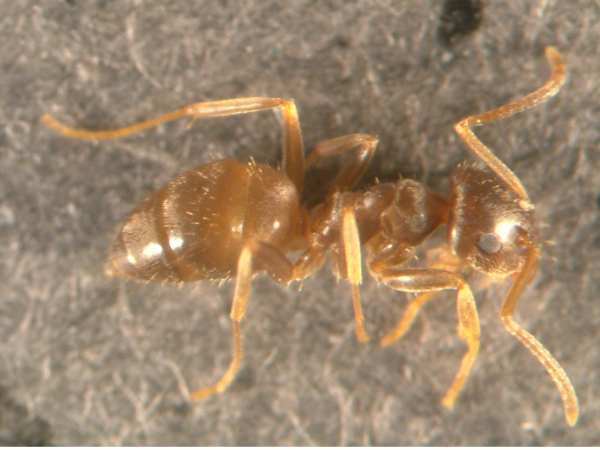 Influence de Crematogaster scutellaris (Hymenoptera: Myrmicinae) sur deux communaut�s de fourmis. Colloque UIEIS, Versailles: 68-72. Paris, C.I. & Espadaler, X. (2009). 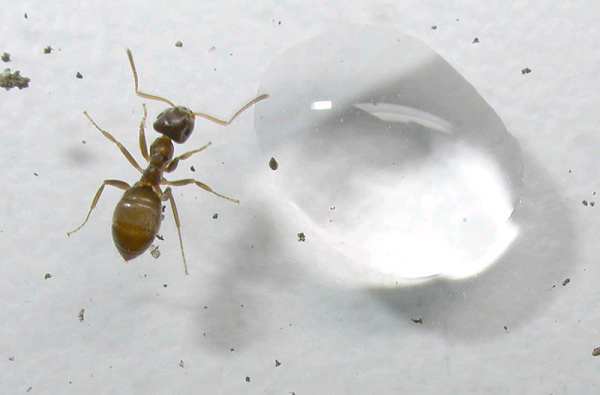 Honeydew collection by the invasive garden ant Lasius neglectus versus the native ant L. grandis. Arthropod-Plant Interactions 3: 75-85. Seifert, B. 1992. A taxonomic revision of the Palaearctic members of the ant subgenus Lasius s.str. (Hymenoptera: Formicidae). Abh. Ber. Naturkundemus. G�rlitz 66: 1-67. Summary: Formal taxonomic revision of Lasius (s.str.) ants. Treatment for each species includes biological comments. Seifert, B. 2000. Rapid range expansion in Lasius neglectus (Hymenoptera, Formicidae)- an Asian invader swamps Europe. Mitt. Mus. Nat. kd. Berl., Dtsch. Entomol. Z. 47: 173-179. Summary: Update of known and unpublished locations for Lasius neglectus. Tartally, A. 2000. A Magyarorsz�gr�l le�rt inv�z�v Lasius neglectus van Loon, Boomsma et Andr�sfalvy, 1990 (Hymenoptera: Formicidae) �jabb hazai lel�helyei. (New data on the distribution of the invasive Lasius neglectus van Loon, Boomsma et Andrasfalvy, 1990 (Hymenoptera: Formicidae) described from Hungary). Fol ent. hung. 61: 298-300. Van Loon, A.J., J.J. Boomsma & A. Andr�sfalvy, 1990. A new polygynous Lasius species (Hymenoptera, Formicidae) from Central Europe. I. Description and general biology. Insectes soc. 37: 348-362. Summary: Allozyme analysis of the Budapest population, compared to Lasius alienus.